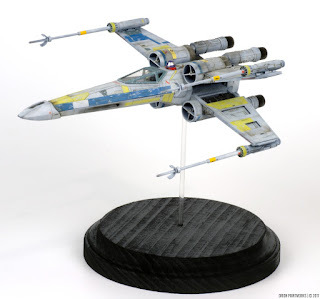 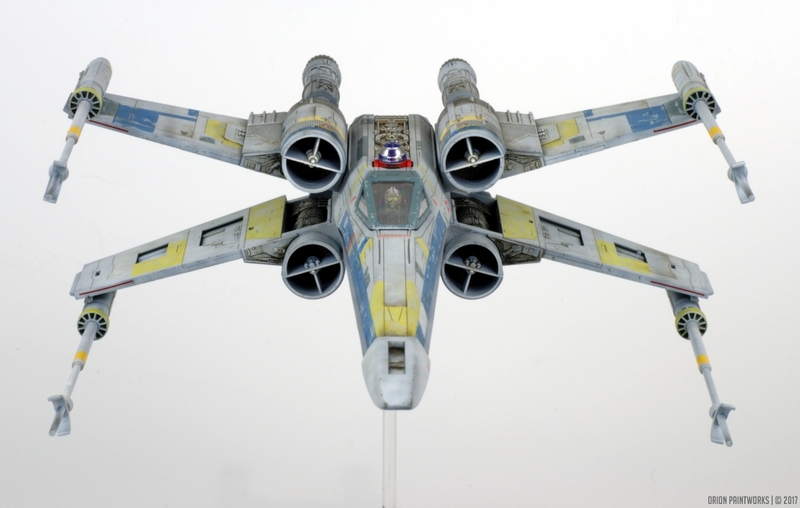 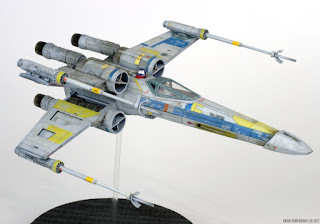 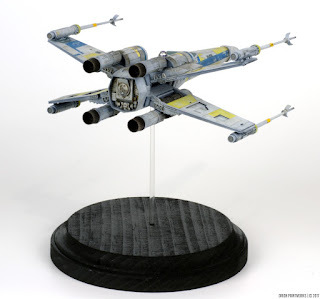 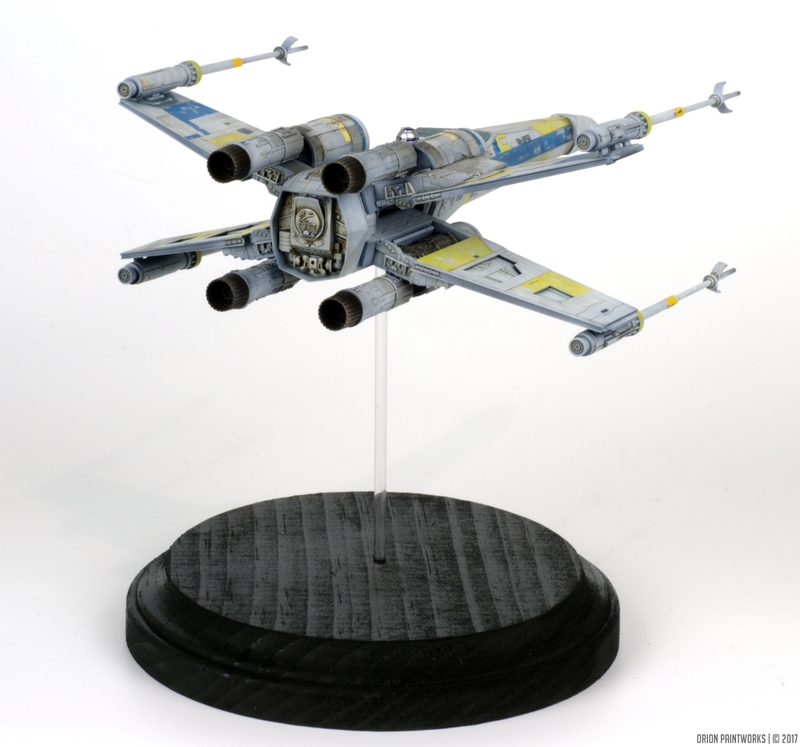 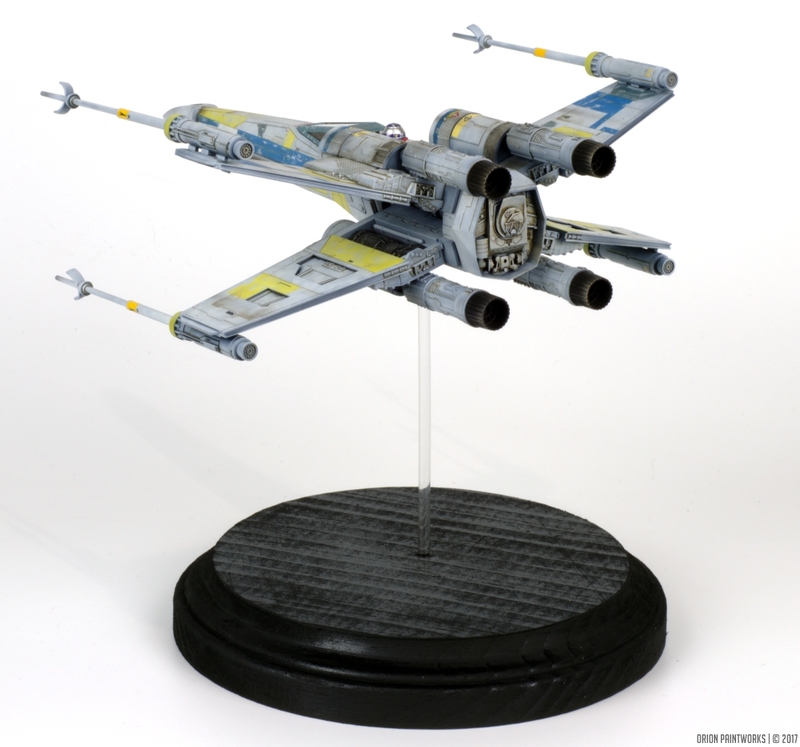 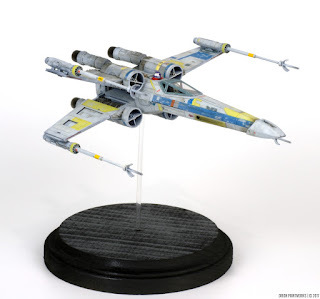 Bandai 1/72 scale T-65 X-wing in Antoc Merrick's Blue Leader livery. 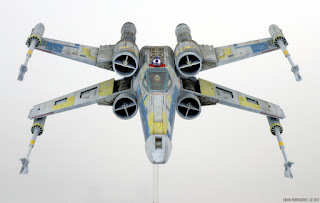 Completed with Mr. Paint and Alclad lacquers; Tamiya and Vallejo acrylics; Abteilung 502 oils, Mig Productions enamels and pigments.